-With digital- power mode for great protection( over-currut protectin, over- voltage protection, input under-voltage protection input undercurrernt protection,etc.). -Small size and light weight,with 2A balance current. -The X6 uses advanced Synchronous buck-boost DC/DC converter technology with high power, high current and high-performance power conversion circuit. The maximum charge power capacity is up to 800W, the maximum charge/discharge current of a channel is up to 30A. 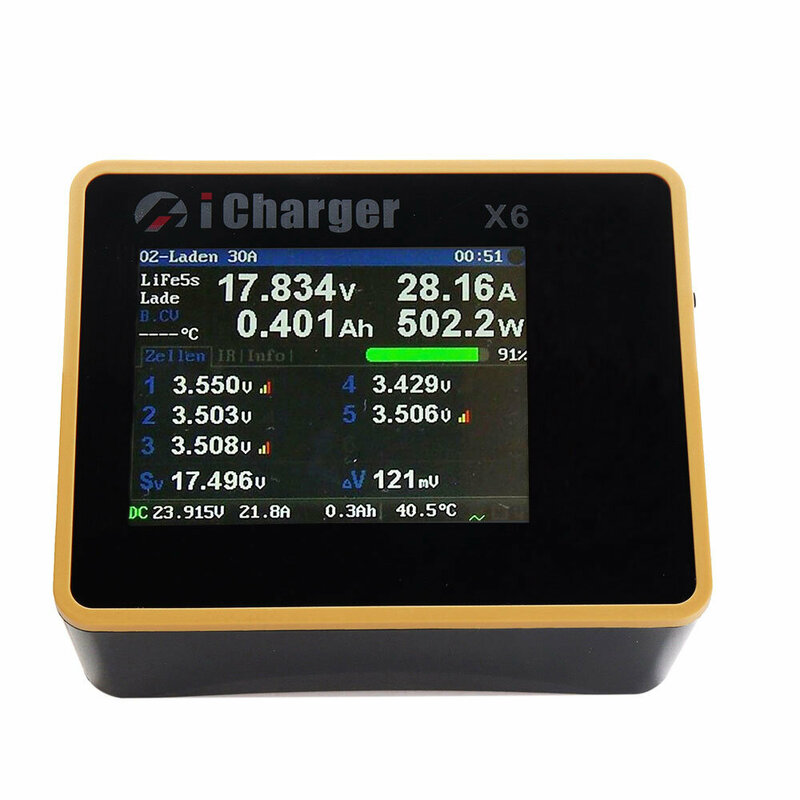 -The X6 Supports 6s LiPo, Lilo, LiFe, LiHV, LTO and NiZn batteries, with maximum 2A balance current, and adopts a unique balance calculation of internal resistance correction. 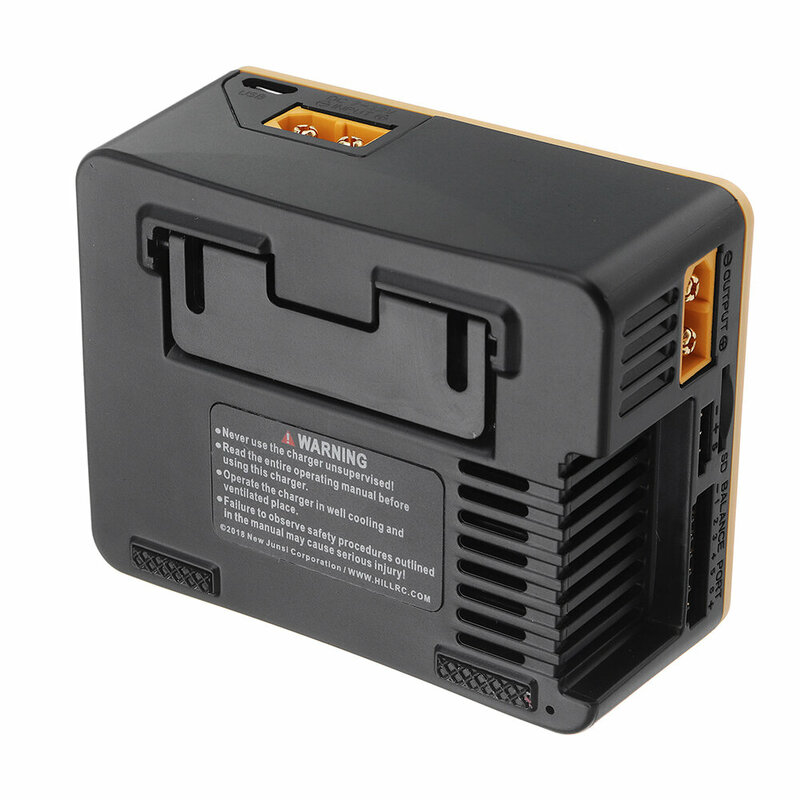 Supports 1-20s NiMH/NiCd batteries and 1-12s Pb batteries. -Intelligent fan control. it can control the fan speed by sensing internal temperature. -Internal temperature protection. When the internal temperature exceeds the Power Reduce temperature, the output power is automatically reduced; and the charger will shut down when temperature exceeds the Shut-down temperature. 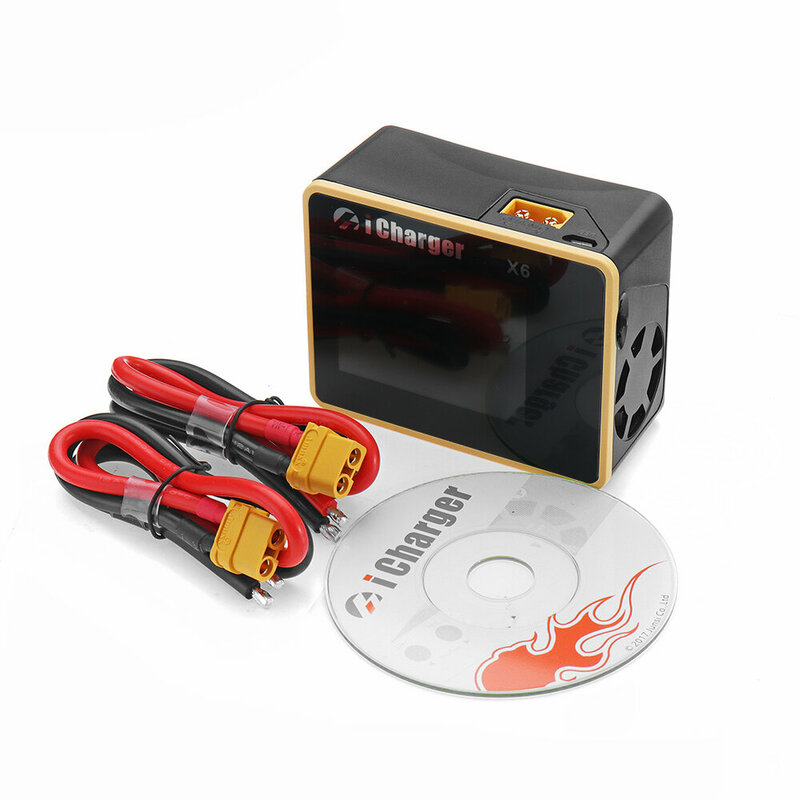 -This charger can save 32 parameters sets and support the data import/export to SD card. 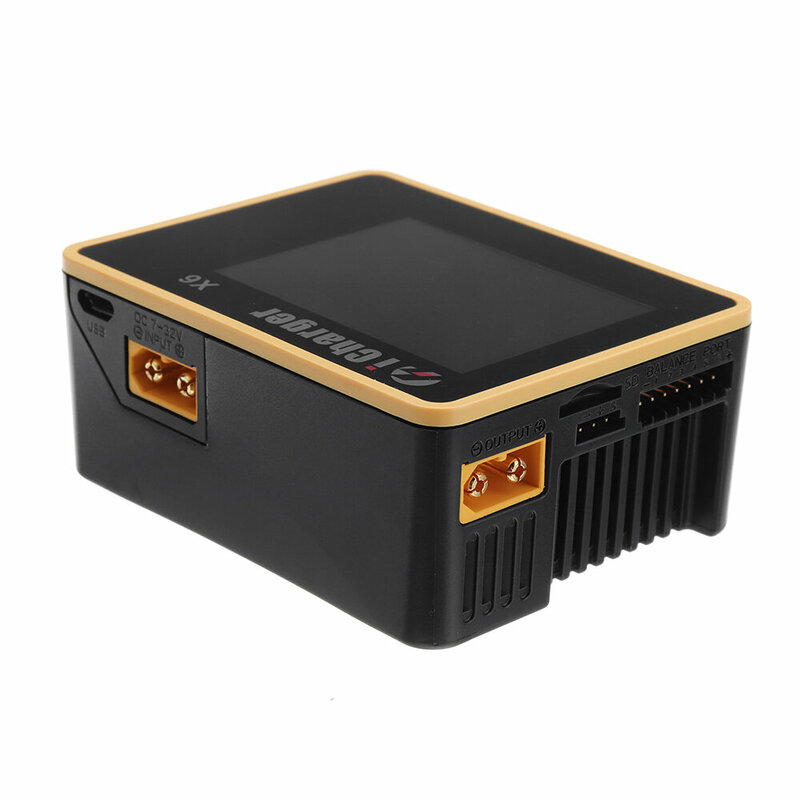 -A 2.4" IPS LCD screen provides rich information,such as current, voltage, power, capacity, internal resistance, control status, time-consuming and temperature, etc. -It supports multi-discharge features, including self-discharge, regenerative to input discharge, and lithium battery extra expanding discharge. -Supports measurement for internal resistance of battery offline and online. Can measure not only the internal resistance of the entire battery pack, but also measure the internal resistance of each cell within the lithium battery. 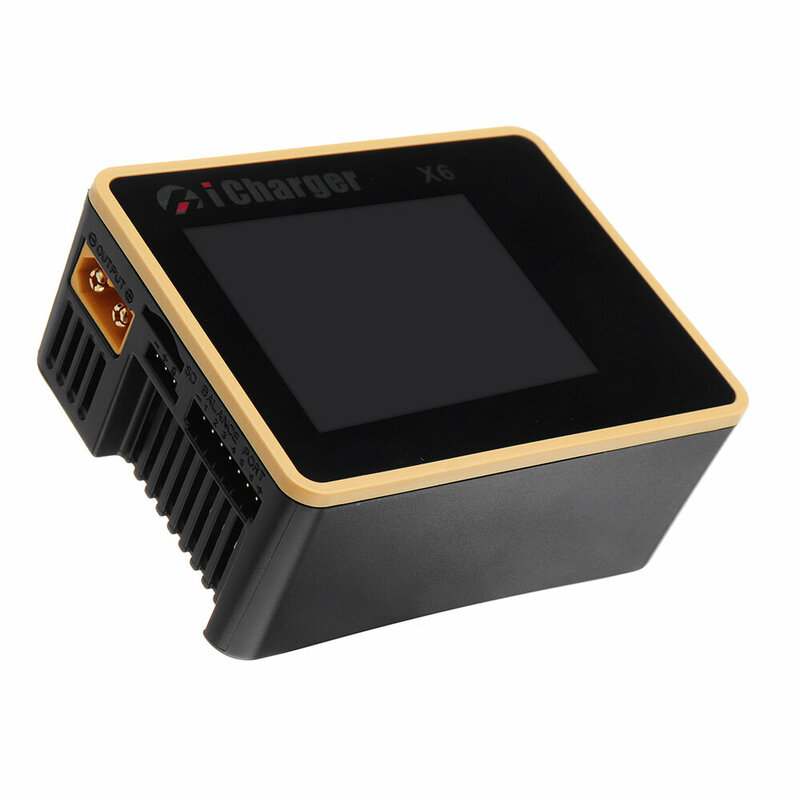 -X6 has protection for reversed polarity (input or output), input voltage/current, battery temperature, charging capacity, overrun time and maximum power etc. 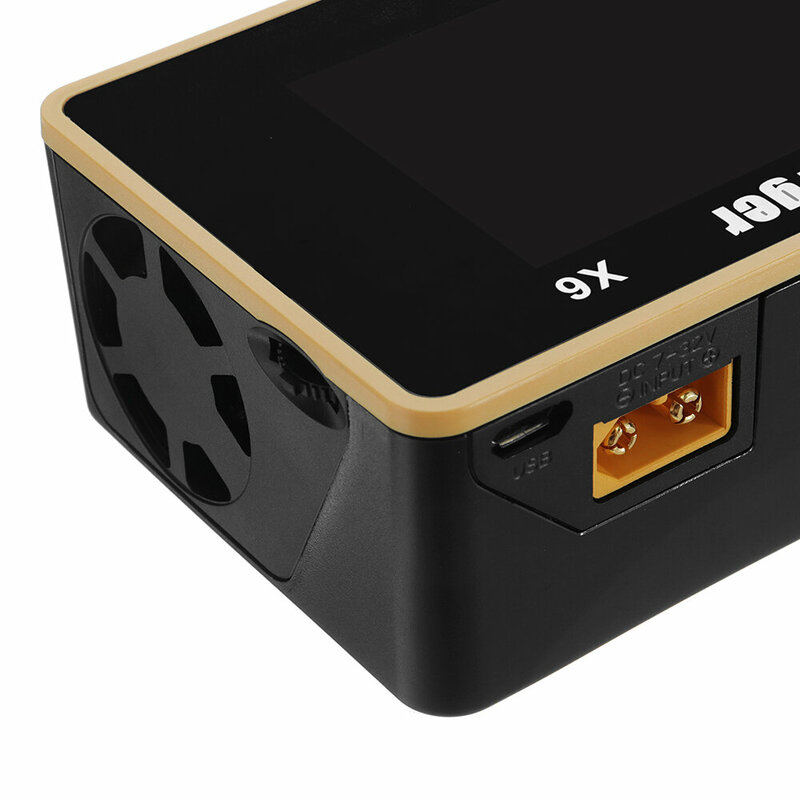 -It supports upgrading the hardware programs by USB port or SD card. X6 also supports to use the “Junsi Console” software to display, plot and analyze the charge and discharge data.